Richard is an experienced senior executive overseeing media distribution, production financing, business development and consumer products for major entertainment brands at companies including Disney, Warner Bros., The Jim Henson Company and Univision. Richard is the President and CEO and a Board Member of the U.S. subsidiary of leading animated entertainment company Cyber Group Studios and is a member of the Global Management Executive Board in Paris, France. Responsibilities include media distribution, consumer products and managing Cyber Group Studios’ content and productions in territories including North America, China and Australia. He also leads the acquisition of businesses, intellectual properties and other opportunities that will benefit the company globally. In his role as Executive Vice President, Global Distribution, at The Jim Henson Company, Richard led the company’s sale of content to all platforms, including television, home entertainment and digital media worldwide and consumer products licensing and merchandising. His role also included raising production financing and securing co-production partners for new productions at The Jim Henson Company. In addition, Richard acquired and distributed third party content under the company’s HIP banner (Henson Independent Properties) and oversaw all aspects of the company’s multi-platform channel, Jim Henson Family TV. Prior to joining the The Jim Henson Company, Richard was Executive Advisor for Strategic Distribution Initiatives for both the Digital Distribution and Consumer Products divisions at Warner Bros. Entertainment. In that capacity, he developed and acquired programming for transactional digital platforms. He was also charged with oversight of distribution for Warner Bros. Animation’s current television series, including “Batman”, “Looney Tunes” and “Scooby-Doo!”, in major international markets. Prior to that, Richard served as Senior Vice President, New Initiatives and ACME Lab, where he led global business development initiatives and re-development of classic animation brands in the Warner Bros., Looney Tunes, Hanna-Barbera and MGM libraries. 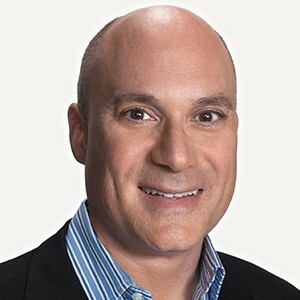 Previously, Richard was Vice President of Programming for investment company Chartwell Partners, leading program acquisitions, scripted production and business development for company-controlled Spanish media group Univision Communications. He was also President and Co-Owner of Hollywood Ventures Corporation, formerly a leading distributor of preschool television series worldwide, where Richard also produced the feature film, “Jack Frost”, for Warner Bros. and owned and operated two record labels with Warner Bros. Records. Richard began his career as VP Programming & Production for TV syndicator LBS Communications and as head of network TV specials for Walt Disney Television. Goldsmith has a BA from the University of Pennsylvania, Annenberg School for Communication. He also attended the University of Southern California’s Cinema-Television School.